Adopting a state-of-the-art optical design and a rounded diaphragm*4, this lens carries on the long tradition of Tamron’s 90mm Macro lens in delivering spectacular blur effects. Two XLD*5 (Extra Low Dispersion) glasses and one LD (Low Dispersion) element reduce chromatic aberrations, yielding sharp images and outstanding resolution. Tamron’s newly developed eBAND (Extended Bandwidth & Angular-Dependency) Coating*6 delivers a dramatic improvement in antireflection performance-significantly reducing flare and ghosting for clearer, crisper images. Optically the Tamron SP 90mm F/2.8 Di MACRO 1:1 VC USD lens is a reincarnation of the classic 90mm classic lens that Tamron used to make. However a range of improvements make the lens one of the most formidable pieces of equipments that one can hope to use in a macro photography setup. The lens has a minimum focusing distance of 1.8 inches and offers a magnification ratio of 1:1. 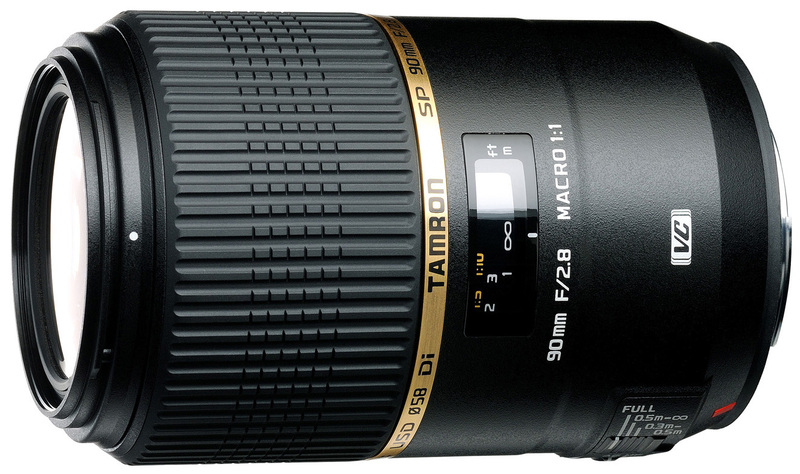 This makes the Tamron SP 90mm F/2.8 Di MACRO 1:1 VC USD a true macro lens. An important aspect of the lens is the VC (Vibration Compensation) technology. It gives the lens stability against shakes and helps create sharp pictures even when the camera is hand-held. Sony users will however not get VC in their lens as Sony DSLR bodies have built-in vibration reduction motor. Macro lenses require four basic features to be a successful and this lens has al of them. Apart from VC and 1:1 magnification, the lens is fast at f/2.8 which allows the camera to shoot great pictures in low light. Also the lens also has USD (Ultra-sonic silent drive) mechanism for quite and fast auto-focusing.